Your roof works hard throughout the year, but even the best roofing systems will eventually succumb to the elements – either from normal wear and tear, or from extreme weather conditions. When that happens, you need to invest in roof replacement as soon as possible. Finding the best roofing company, however, can take some work. Especially after a severe weather event, you’ll have storm chasers beating down your door trying to get the work. The problem with these companies, however, is that they often don’t do quality work and will not be around should you need follow-up service. At UHQ Construction, we take our jobs seriously. We want to be your partner not just for one project, but for all your upcoming roofing, gutter and siding replacement needs. The professionals at UHQ Construction are skilled at handling all types of siding and roofing issues. We ensure that you get the right solution at the right price for your budget. No matter how large or small the job, we’ll take it seriously and deliver a finished product that will stand the test of time. You can always trust us to provide you with comprehensive services and top-quality products. As part of our services, UHQ Construction will inspect your roof to determine what type of damage it has suffered and what is required to restore it to proper working condition – whether it be roof repair or replacement. Schedule a consultation today! Avoid the headache of dealing with unqualified or unscrupulous contractors. Start with the best: UHQ Construction. Since 2014, we have been helping customers just like you with their roofing needs. Schedule an appointment by calling us at (317) 884-3140 or by filling out our online form. Replace rotted siding with James Hardie fiber cement. 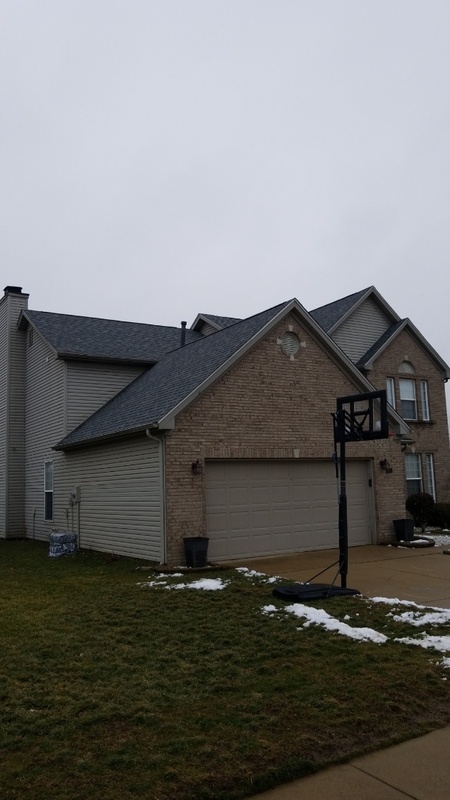 Replace a leaking roof with Owens Corning shingles. 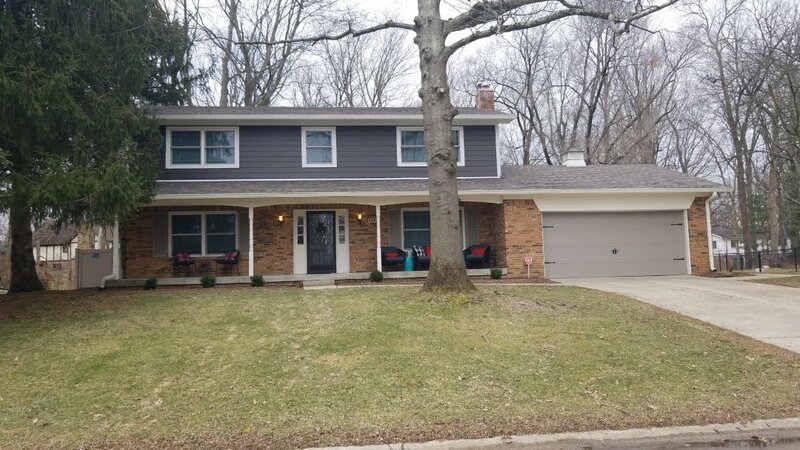 Replaced rotted siding with James Hardie fiber cement. 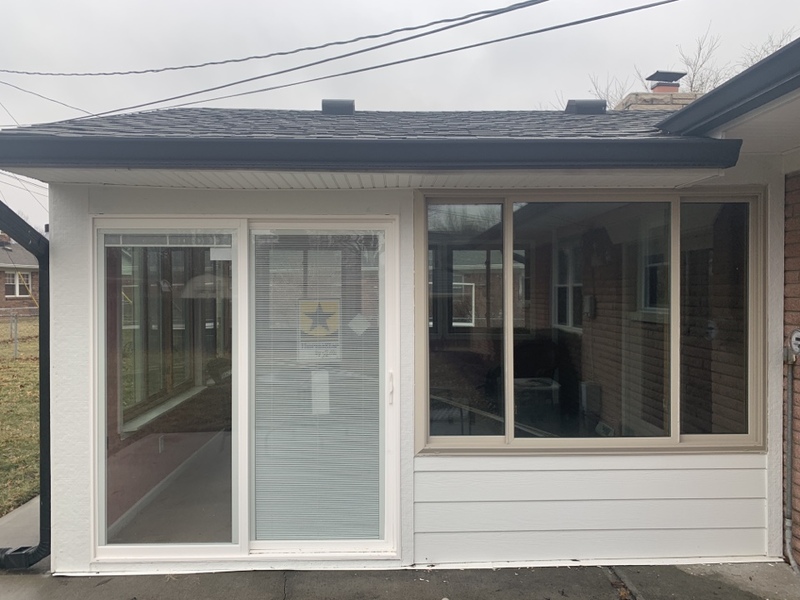 UHQ also replace sliding patio door with blind inserts.